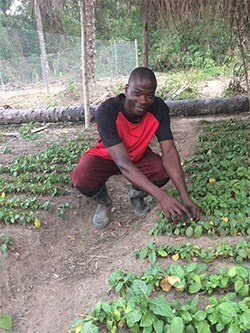 The value chain approach to vegetable marketing promoted by AVRDC – The World Vegetable Center has made all the difference to Giriyapura’s chili producers. 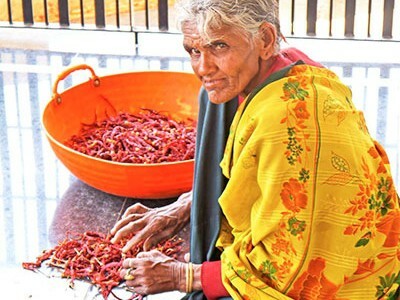 For the chili farmers of Giriyapura village in Chikmagalur district of Karnataka, selling their produce in the local market was an uphill task. Faced with restrictive local market practices and intense competition, their profits slumped year after year. “First, the buyers complained of the excessive use of pesticides and then the middlemen removed nearly 4% of the produce because of what they called ‘wastage,’” said 40-year-old local farmer Mr. Halappa. “The scales were not electronic, which meant the weighing was not accurate.” Market middlemen offered low prices of not more than Rs 80/kg for the produce. The value chain approach to vegetable marketing promoted by AVRDC – The World Vegetable Center has made all the difference to Giriyapura’s chili producers. With support from the Karnataka government, AVRDC’s interventions in the village under the Bhoochetana Plus project set out to address farmers’ concerns. Center staff began working with 25 farmers cultivating three varieties of chilies, Devanoor, Byadgi and Kadi, getting three harvests a year from 60 acres of land. Chilies were sold as dry spices for use in local food, and could also be sold to processors for the extraction of high value oleoresin from the pods. After refinement, the oleoresin is exported to the USA, Japan and Europe, but increasing contamination from pesticides has restricted the ability of local processors to meet the exacting standards of these markets. In January 2014, the AVRDC team conducted two training sessions in the village on integrated pest management (IPM) for chili. As farmers started adopting the IPM practices, their yields increased, along with product quality. “We managed to get at least 500 kg of dry chili per acre, “said Mr. Hiranyamurthy, a veteran farmer from the village. “In some fields the yield was almost 900 kg. Things were looking up for us.” Random samples of locally produced chili were then analyzed for pesticide residue by the Spices Board Lab. Negative results were obtained. AVRDC linked the farmers’ group with a private oleoresin buyer, Paprika Oleos (India) Ltd. from Tamil Nadu, which was seeking produce with assured low levels of pesticide residue. 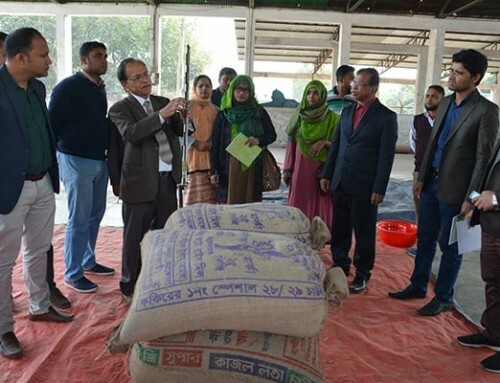 The value-chain intervention helped farmers maximize profits as Paprika Oleos decided to purchase chili at a price of Rs 110-120 per kg, which was higher than the local market price. The farmers dry the chilies on roof tops and open spaces. 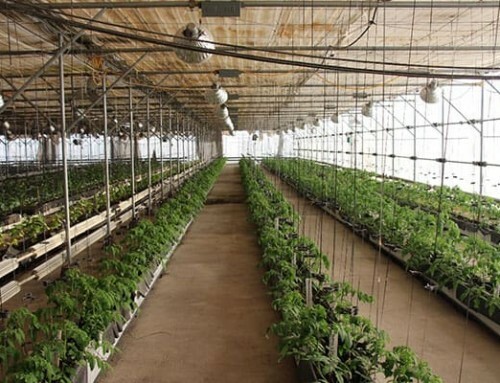 Details of planting material, nutrient and pest management inputs, harvesting, drying, sampling for quality, and sales are recorded for each crop, providing assurance for the processor and international buyers. Chili with no or low levels of pesticide residue fetches high prices in India.